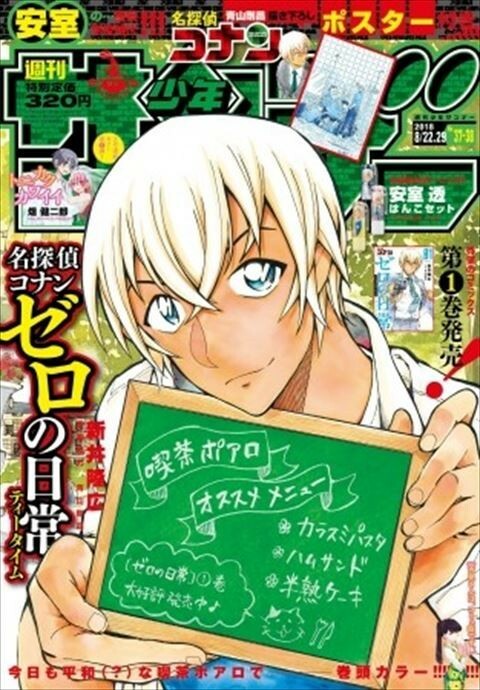 The official spin-off comics “Detective Conan: Zero’s Tea Time” where Amuro Toru is the main character has broken through 600,000 copies in emergency reprint. Exceeding 8.5 billion yen in box office income and became a hot topic, is this year’s movie edition “Detective Conan Zero Enforcer”. 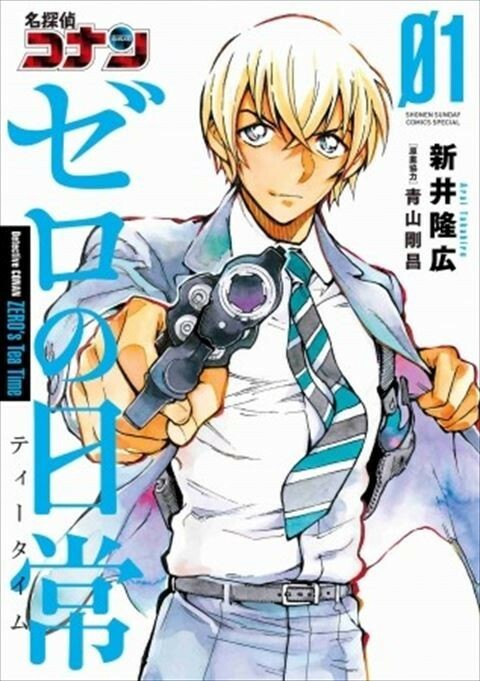 3 days after volume 1 its spin-off comic “Detective Conan: The daily life of Zero (Zero’s Tea Time)” where Amuro Toru is the protagonist is released for sale, the printing company has decided to do an emergency reprint. In addition, as a advertising campaign for the comics, the video “The message left by Amuro in the answering machine” which has been published in the official twitter account (@zerotea_file) has recorded 3 million playbacks in 6 days. Not only that, the very same video was broadcasted on TVCM 11 days later had also attracted a lot of attention! The Shonen Sunday magazine has a front-page cover of “Zero’s tea time”, and comes with poster drawn by the creator of Conan and Amuro, Aoyama Goushou. On top of that, that magazine contains new information regarding the next release of “Detective Conan: Zero’s Tea Time” as well! !